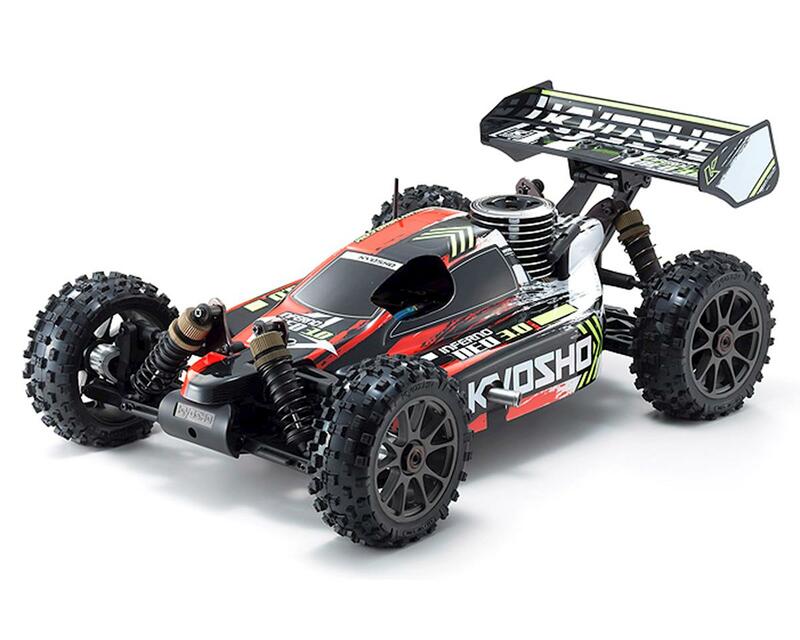 The Kyosho Inferno NEO 3.0 ReadySet 1/8 Off Road Buggy is built from the DNA of 8 World Championship titles. The Inferno NEO 3.0 is ready to race almost as soon as you pull it out of the box and brings the Inferno’s glorious performance potential within reach of everyone. While excelling on racing circuits, the NEO 3.0 also runs through rough terrain like a boss with features such as the user-friendly KE21SP engine with recoil pull starter and Big Bore Shocks with the KC Cross Tires that deliver an optimal balance of performance and traction on any surface. Based on the competition-level chassis, the NEO 3.0 promises exceptional reliability and durability plus a wide range of setting adjustments and custom performance upgrades through the huge range of optional parts available for the MP7.5 series. Experiencing the thrill of engine-powered off-road buggy racing has been made easy with the Inferno NEO 3.0!